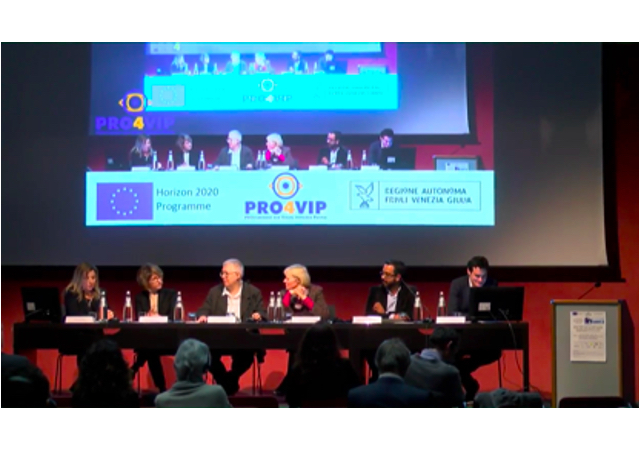 The European project PRO4VIP (Innovative Procurement for Visually Impaired People) was concluded in Trieste (Italy), at which there were addresses by the representatives of all the consortium member institutions. Every entity that is integrated into the project has contributed a different viewpoint according to its field of action. As a result, the PRO4VIP project has been able to gather the voice of patients, the clinical viewpoint and the vision of experts, the industry and the administration. All this for the creation and consolidation of a European network of contracting public authorities and the defining of a shared roadmap for public procurement in the short and long term. 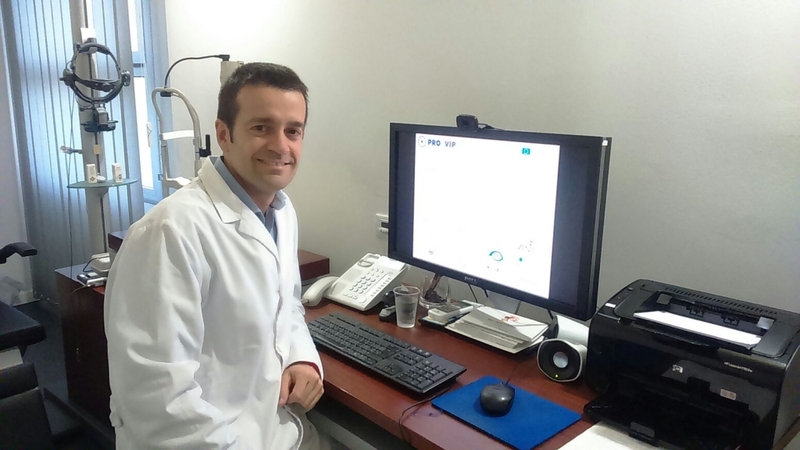 Dr. Marc Biarnés, BMF’s researcher, performed his presentation for the Final Meeting remotely from the Foundation headquarters. With regard to the prevention of eye diseases, the therapy that clinical professionals most long for is a vaccine that can prevent them. With regard to the improvement of early detection of eye disease, experts seek imaging methods that provide greater resolution or the non-invasive assessment of the metabolic state of ocular structures. They also point to the need for tele-application of the method of glaucomatous screening. The doctors who specialise in ophthalmology also regard it as important to develop therapies for the regeneration and recovery of the retina and the optic nerve damaged by degenerative diseases. Also, knowledge about pathologies should be increased through shared learning tools and databases. They regard it as vital, moreover, to ensure the patient’s treatment adherence, through methods that provide reminders or automatic administration of drugs. An improvement in the clinical management of patients also involves an improvement in patient-doctor communication. The PRO4VIP project has identified the need for the development of remote monitoring of the patient through telemedicine. Knowledge of the disease needs to become more extended as a lack of awareness among the population may contribute to delayed diagnosis. It would also be preferable to have parameters for self-control of the disease, including instruments for remote monitoring and increasing the patient’s knowledge about the pathology he or she suffers. Finally, the development of standardisation processes seems necessary. This would enable more efficient visits to be made, improve the schedules of patients and physicians and increase the time devoted to the relationship with the patient. This information appears in expanded form on the website of PRO4VIP or in the section that the European Blind Union devotes to the project. The PRO4VIP project is co-funded by the European Union’s Horizon 2020 under grant agreement No 645584.